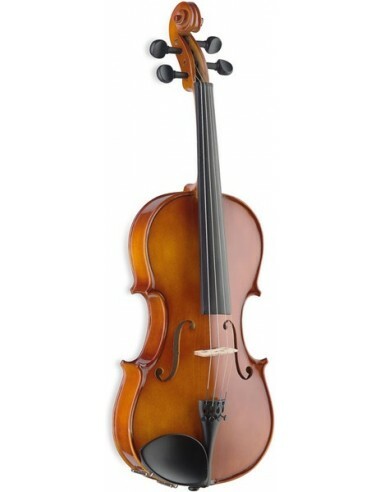 15" Solid Maple Viola with standard-shaped soft-case. Traditionally handcrafted with selected woods by skilful instrument makers. Constructed with high quality rugged materials, they all come with bow and rosin in case. This is an Ex-Demo(?) instrument with some small signs of use.